If someone were leading the game 861-2, is it time to ask questions? 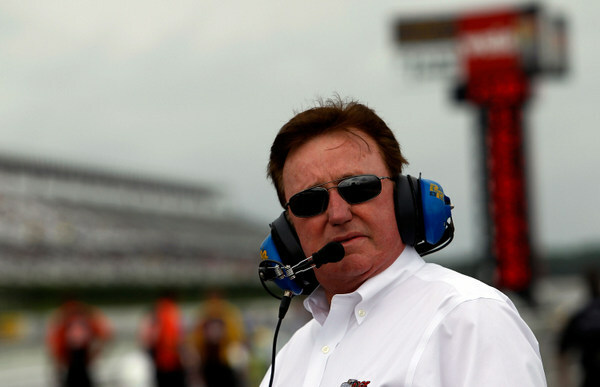 Richard Childress and Chip Ganassi both insist their racing operations are doing just fine, thank you, and they say all their Sprint Cup teams need is a couple of wins to make that clear to all. However, the record says otherwise. Look at one startling statistic here. Ford clearly had an engine edge at the start of the season, but in May the Rick Hendrick Chevys really came alive. -- Since Darlington's Southern 500 in mid-May Hendrick's four Chevy drivers have outscored Childress' three Chevy drivers in laps led by a whopping 861 to 2. -- And Hendrick drivers have outscored Childress drivers in wins 5-0. Well, this track should be an excellent place for the two veteran team owners to make their case: Childress kissed the bricks last August to celebrate Paul Menard's Brickyard 400 win, and Ganassi kissed the bricks in August 2010 to celebrate Jamie McMurray's victory, and Ganassi came close to kissing the bricks in August 2009 when Juan Pablo Montoya dominated the 400, before getting slapped with a pit road speeding penalty. Childress' three drivers are winless this year. Kevin Harvick's last tour victory was at Richmond late last summer. Menard's first and only tour victory was here last summer. And Jeff Burton's last tour victory was back in 2008. Ganassi's two drivers are likewise winless this year. McMurray, who had that great 2010 season, winning the Daytona 500, Indianapolis' 400, and Charlotte's fall 500, hasn't won since, now nearly two years on. And Montoya, who has yet to live up to his Formula One and Indy-car reputation in this branch of the sport (with only two wins over his 5-1/2 years here), hasn't won since Watkins Glen in the summer of 2010. 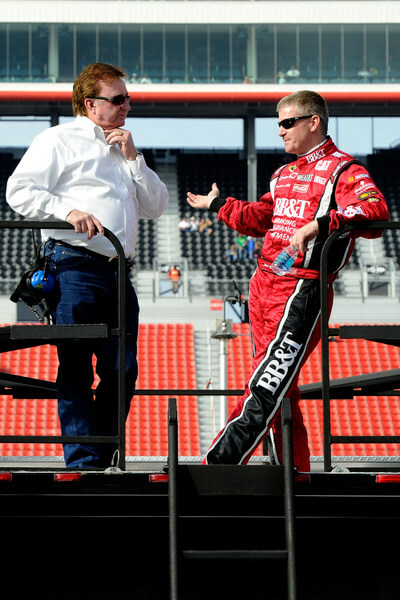 The Childress and Ganassi teams work closely together, with Childress providing engines and engineering for Ganassi, with engines perhaps the key link. However the contrast between this part of the NASCAR Chevrolet camp and the Rick Hendrick side of the Chevy camp is sharp -- all four Hendrick drivers are running very strong, with five wins so far, and the Tony Stewart-Ryan Newman department has four more wins itself for Hendrick engineering. 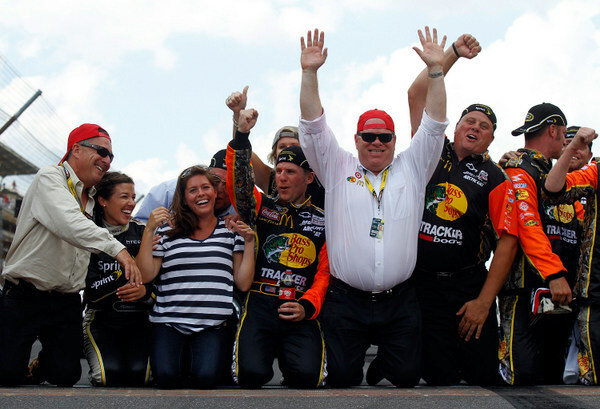 Ganassi himself concedes 2011 for his teams was pathetic. And at the end of the season Ganassi shook things up, dropping team managers Steve Hmiel and Tony Glover, and bringing in John Probst and Max Jones. Things haven't looked much better this season. McMurray has led but 16 laps, Montoya but 14. Nothing close to a win. And just a handful of even top-10s. Painful...and for a year and a half now. Ganassi points out he has been making "a lot of changes," and he insists "things are going well. "Are we where we want to be in the points? (20th and 21st, with little chance of making the playoffs) No. "Are we where we want to be in performance? No. "But are we happy about the people we have and the direction we're going? Yes. "We're not where we want to be....but we're not finished." "One of our cars is sitting sixth in points and should have won three races. Three times Kevin was right there to win. "We've been competitive...but we haven't put the wins together. "Last year we won six races." Childress knows his men should be competitive at this track in Sunday's 400, and he knows Ganassi should be too. "We've won this race three times (in 1995 with the late Dale Earnhardt, in 2003 with Harvick, and in 2011 with Menard)," Childress points out. However hanging over the Childress camp are some questions about maybe more shakeups coming for 2013. Burton has been one of those questions; but Childress confirms he is committed to running Burton again next season. And Childress says sponsor Caterpillar's second-quarter earnings success comes at a good time for the team. "I just talked with them Wednesday, and they're really happy," Childress says. "But we would all like to see that team running a lot better." Burton led 24 laps at Daytona, but only four laps since March. His second place finish at Daytona three weeks ago was his best of the season. Burton's new crew chief this season is Drew Blickensderfer, Burton's third crew chief in the past 18 months. Todd Berrier started last season with Burton, and their average finish over the season's first 19 races was 20.8, when Childress decided to change things up and put Luke Lambert in charge. With Lambert, Burton's finishing average the final 17 races was 15.4. So far this season, over the 19 races, Burton and Blickensderfer have a finishing average of 18.2. Childress seems a bit perplexed that Burton isn't doing better. "We're doing a lot of stuff with that team to get it better," Childress says. 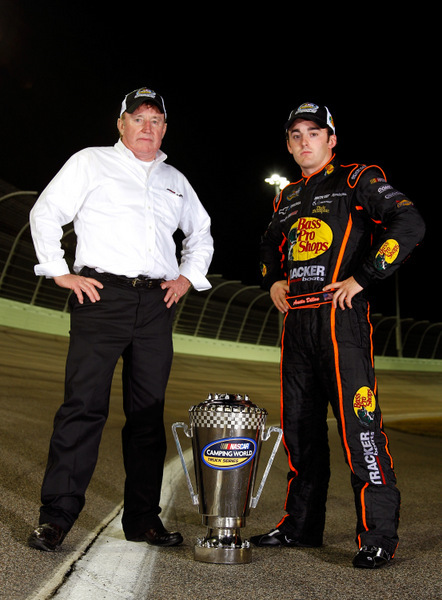 Are there problems under the hood for the Childress men? Childress insists not. "NASCAR takes the engines to check 'em all out. They've taken Montoya's engine, they've taken McMurray's engine, they've taken Kevin's engine, they've taken Jeff Burton's engine....and they've taken all the Chevy engines, Dale Earnhardt Jr.'s too. So we know exactly what all the Chevy engines are making for horsepower and torque, the whole thing. "And we're right there (with the Hendrick engines). One week we may be better than them, and the next week they may be better than us. It's all really close." But Childress knows there's something Hendrick engineers have found that his men are still looking for. "It's something," Childress says. "You've got to work on aero, chassis, bump-stops, engines, acceleration, weight, everything. "We qualify well sometimes, and run well. We've got speed." On top of all this, Childress has his two grandkids, Austin Dillon and Ty Dillon, to fit into the big picture next season too. Ty is set to run Trucks full-time, Austin to run full Nationwide and part-time Sprint Cup. "We've got a plan...because I've seen too many guys come into Cup too early." Submitted by Jeff on Sun 07/29/2012 - 07:59. The issue is not just with Childress and Ganassi, but with all the non-Hendrick teams. Nascar has always favored the bowtie, that's unquestioned, but they tend to change rules a lot when it comes to a perceived advantage to any team other than Hendrick. The cooling rules at Daytona and Talledega are prime examples. They claim it was about tandem drafting, but those of us who have watched the sport for 40 years know it was to give the other teams a way to compete with the FR9. I've watched this sport for many-many years, and there are ebbs and flows to the advantages enjoyed by particular teams and manufacturers, but one constant is that you never see Hendrick without the majority of laps led and wins. They never slump because they have the sanctioning body in their back pocket to tweak the rules in their favor. Honestly, this is one of the several reasons the sport is in decline. People are tired of manipulated results, favoritism, media worship of individuals and teams, lack of open testing, lack of reporting of engine test results, stealing of sponsors from the teams by the sanctioning body, GWC finishes (when it gives one of the chosen ones a chance to win), top 35 rule, tire changes after teams have qualified, bogus penalties for rules infractions, double-secret probation, Fox, DW, Larry Mac, MW, and the general dumbing down of the sport. Submitted by Mike on Mon 07/30/2012 - 03:34. Submitted by mike on Mon 07/30/2012 - 19:38. Excellent analysis. Brutally honest. But how much blame shouldn't we be putting on Detroit for letting this happen?